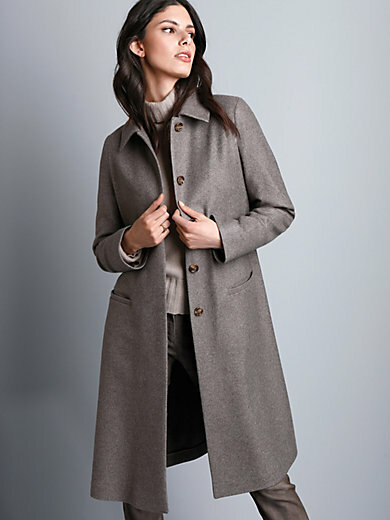 Coat by SCHNEIDERS SALZBURG: exquisite cashmere with a gentle drape, charming shimmer and fine texture. Luxury you can see and feel! Ideal for business, travel or the city. This timeless, unlined coat in a slightly A line cut represents pure understatement and lends your look a certain touch of class. Quality finish with an elaborately worked concealed button band, 2 integrated pockets and the perfect inner finish with overlock stitching. 100% cashmere. Lining in 51% acetate, 49% viscose. Length approx. 102cm/41ins. Dry clean recommended.